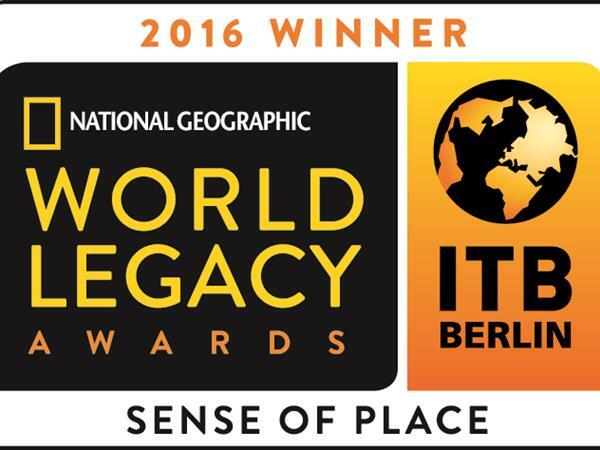 We are delighted to announce we have been selected as the overall WINNER in the category “Sense of Place” at the National Geographic World Legacy Awards 2016. TIME Unlimited Tours was selected as the overall winner in the category “Sense of Place”, which recognizes excellence in enhancing cultural authenticity, including implementing vernacular architecture and design, support for the protection of historic monuments, archaeological sites, indigenous heritage and artistic traditions. This is TIME Unlimited Tours’ latest major achievement on the international stage representing New Zealand and its 3rd Worldwide Tourism Award. They won their 2nd Worldwide Tourism Award at Luxperience in the category “Meaningful” in September 2015, as well as winning at the New Zealand Tourism Awards in the “Maori Cultural Tourism” category in October 2015. As part of their selection first as finalist and now winner in this highly-prestigious global award, TIME Unlimited Tours’ Co-Founder & Co-Director Neill Sperath attended the award ceremony as part of ITB, the world’s largest tourism trade fair, in Berlin/Germany. “The past year has been truly outstanding for us and we are overjoyed to have been selected to receive this iconic global award. This accolade is a further validation of the great efforts we undertake to promote and lead the way in authentic experiences that aim to always protect, preserve and enhance the beautiful environment in which we are so fortunate to operate. We applied in the category “Sense of place” because we see our unique Auckland-based business as having a mission to always go the extra mile to leave our environment in a better place than how we found it, plus to always strive to lead the way for others to follow in Ecotourism. We see this latest accolade by National Geographic as one of the world’s most respected organisations as further motivation to keep improving for the benefit of the many stakeholders that are involved in our unique business”, say Neill and Ceillhe Sperath, Founders & Directors of TIME Unlimited Tours. View our award mention and write up on the World Legacy Aawards National Geographic website here. View the National Geographic Press release for the World Legacy Award winners here.